This rear-view camera will assist you when maneuvering your vehicle while in reverse. 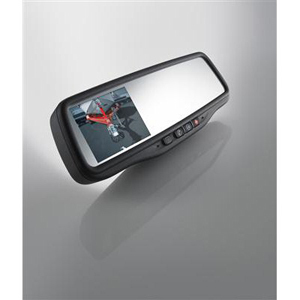 Images will display inside rear-view mirror. For Use on Vehicles with Locking Tailgate (A60), Non-Navigational Audio Systems (US8, UUI, UUJ, or UUN), OnStar (UE1), and Comfort and Convenience Package (YE9).